If you have followed all the Bigg Boss seasons, you would definitely remember this cutie Elli Avram, who also was Bollywood superstar and Bigg Boss show host Salman Khan’s favorite. This Swedish model-actress, who is known for her style appearances, is rumoured to be dating Indian cricketer Hardik Pandya. The rumours started doing the rounds after she attended Hardik’s brother Krunal Pandya’s wedding functions in December. While the couple has never made their relationship official, but are often snapped together. Going by the airport pictures, it seems that after Virat Kohli-Anushka Sharma, Zaheer Khan-Sagarika Ghatge, among others, allegedly the next one to join this could be Hardik Pandya and Elli AvrRam. 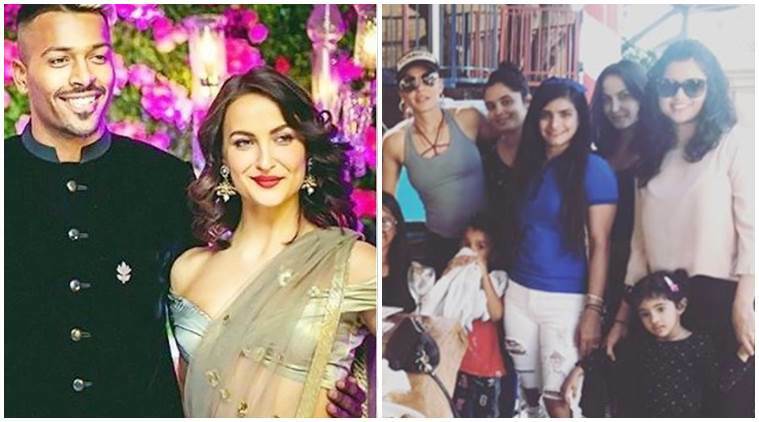 Be the first to comment on "Cricketer Hardik Pandya Is Dating Mickey Virus Actress Elli AvrRam"